Aperture f/1.4 as used here refers to f/1.4 on a full-frame 36 X 24mm sensor. On APS-C, the equivalent aperture would be f/1.0 and on M4/3 it is f/0.7. See also Reader Comments: Size/Weight of Sigma DG HSM Art Lenses. Today in 2015, we have 24/36/42/50 megapixel full frame cameras. Even on 24 megapixels it can be a challenge to achieve image quality corner to corner. We also have strong high ISO performance, so far better than was ever achievable by film. And yet, the high-end lens goal today is all about f/1.4. What does aiming for f/1.4 deliver? Size and weight ranging from awkward to unmanageable. Performance vastly below sensor capabilities at f/1.4 (certain Zeiss Otus lenses excepted, but see first point). Razor-thin depth of field that requires stopping down for useful depth of field and absolutely spot-on focus (think eyes in a portrait). Compromises in distortion, vignetting, field curvature, bokeh, and so on. But in the main, size and weight of f/1.4 lenses are unfriendly at best. Why this irrational and self-defeating aim towards all these compromises just for f/1.4? To gain a stop or two while degrading all else when most purposes are best achieved with stopping down? The market cries out for better-than-Otus quality in f/2.8 designs. The heck with f/1.4! I want lenses the size of the Zeiss Loxia 21mm f/2.8 which perform as good or better than Zeiss Otus. This is achievable, and at much lower cost than Zeiss Otus. When will Sigma, Nikon, Canon, Sony, Zeiss realize that the market for ultra high performance f/2.8 lenses is large and unserved? The separation of subject from context with f/4 is seriously impaired; f/2.8 has just enough, f/4 does not. Focusing at f/4 in dim light is problematic (it’s already a problem in late dusk at f/1.4 with the Sony A7R II). So f/2.8 (or f/2.5) is a compromise, just workable (barely), especially if the design aims for moderate vignetting. An extra shutter speed is a big deal; f/2.8 is a reasonable compromise. f/4 troublesome. There are subjects at night where f/4 is just too dark for a fast enough exposure. Star shots often can work at f/2.8, but f/4 gets tough, at least for me in the mountains. This is why the Canon 8-15mm f/4L and 11-24mm f/4L were unworkable for me for night shots with stars. Reader feedback is running nearly 100% in favor of the above idea. Self selection bias is always a risk in polls, but that is a two-edged sword and this sword has only one edge so far. It is also irrelevant: the passionate and consistent feedback is proof enough that there is a large, motivated, and unserved market for ultra high grade f/2.8 lenses. A market that complements the market for f/1.4 designs. Amen. Although personally, I always desired f/2 for general use and f/4 for, say, landscapes. I know it’s somewhat arbitrary, but if zooms can do f/2.8, a prime for artistic flexibility feels like it should have a bit more with f/2. And if you stop down a lot for certain landscapes, maybe f/4 could really optimize stuff, including size/weight. Dunno why no one seems to do that. I see that the Otuses are like “I can do anything, if I choose to carry this thing around,” but it would be nice to see other optimizations. DIGLLOYD: the point is that no stopping down should be needed (depth of field aside): I want better than Otus f/2.8 designs, not one more “very good at f/2.8, optimal at f/5.6” design. We already have many such lenses with their imperfections. And none can deliver optimal results on high-res digital at f/2.8 or f/4. And by f/8 diffraction is kicking in on a 50MP sensor. Many scenes can do just fine with the depth of field of f/4 or f/5.6, and no small number at f/2.8. So I want perfection wide open at f/2.8. This will be expensive (probably around $3K per lens), but lifetime keepers are what I’m after—and ones I can carry and enjoy, not lug and suffer with. The Loxia 35/2 and 50/2 are classic designs modified for Sony mirrorless. They are excellent stopped down, and while not high performers wide open, they nonetheless have appealing qualities wide open. See my in-depth review of Zeiss Loxia of both. An f/2 design with ultra high performance goals will lead to lenses that are still quite large. The use of f/2.8 makes design challenges vastly easier than with f/1.4 and substantially easier than f/2, and can probably be done even without aspherics. There is room for f/2.2 or f/2.4 designs at some focal lengths perhaps, but I would nominally call these “f/2.8”. Keep 'em small, keep 'em perfect. Wait.....If you take away f 2 and 1.4, there are no other apertures. The Elite Effete would have no lenses to shoot with. They have a physical/mental disability: They cannot see or adjust to numbers larger than 2. Twenty years from now Little Johnny would have (horrors!) his entire nose and both eyes in focus in the family photos. We can’t have that. DIGLLOYD: The eyes have it. Either the makers are living in the past, the customers are living in the past, or both. DIGLLOYD: or the future. Lens design *has* gotten a lot better, making f/1.4 a lot higher performance than ever before. But high performance f/1.4 designs are larger, not smaller. I’m living in the future: as I get older, I want to carry better/smaller/lighter lenses. I could not agree more with your plea for ultra-high performance manual focus f/2.8 and f/4 lenses that are small and lightweight. Please continue to push for it. Why do the lens manufacturers not see the case for lenses with these characteristics? You obviously have the ear of high level people at Zeiss, and they are the most logical candidates to do this. Why have they not done it? BTW, Leica in my view completely missed the boat with the Leica SL. 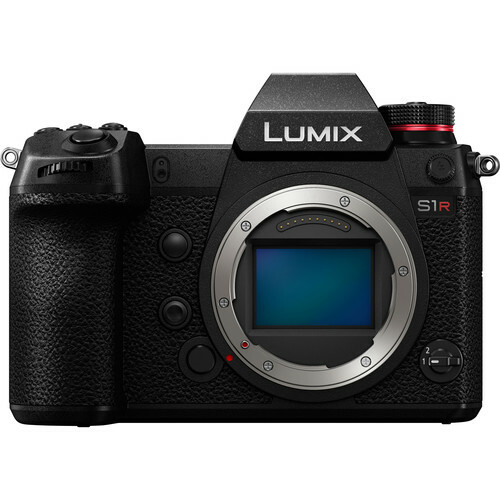 They could have made a camera that would have played to all of their strengths by designing a somewhat smaller version of the SL with a 50 MP sensor and a full line of manual focus f/2.8 lenses or f/4 that are small and lightweight. There is a serious market out there for such a camera and lens lineup. DIGLLOYD: Agreed. And it’s odd that Leica has now thrown away its appeal with the SL: M lenses have considerable appeal for being compact. But the SL has huge lenses and the body is as large as a Nikon D810. While I completely agree with you from the aspect of landscape use, it would be great to see lenses that are built for f2.8-4 maximum aperture which have peak sharpness from near wide open and optimized for f4.0-8 that are lighter, compact, and use standard filters of 77mm or less. I also struggle with the way depth of field markings are put on lenses too. They are rarely accurate if talking big MP cameras. I find a very good use for the new Sigma 24-35mm f2.0 ART though for aerial photography. The zoom range is great and that maximum f2 aperture allows a lower ISO. Lower ISO is quite important because you are restricted by a higher cap of minimum shutter speed and grad filters or focus bracketing are not a good option. Thus the lower the ISO typically the more dynamic range you can drag out of a D810 for sunrise/sunset. The small depth of field is no issue because all scenes are at infinity focus... Also very excited about the Sigma 20mm f1.4 ART for this purpose. I doubt it will replace my Nikon 20mm 1.8G for ground use though just because it is huge, takes no grads or polarizer for water, and f1.4 has zero purpose to me there. DIGLLOYD: I’m not quite following the line of thought here (odd phrasing). Depth of field markings are a useless anachronism. Any experienced shooter should find them unnecessary as well as useless over-simplification, particularly for the particulars of particular subjects. Second, one had better get infinity focus dead-on, particularly for aerial, where things can shake themselves out of focus. Field curvature really makes “infinity focus” an oxymoron if the goal is uniform sharpness across the imaging field; on high res digital there are precious few lenses that can render a sharp image at f/1.4, let alone across the field, since field curvature is not controlled well enough. So one has to stop down to f/2.8 or so anyway, at least if the goal is sharpness across the field. Which it may not always be of course. Very few lenses have a flat field (Zeiss 100/2 Makro-Planar is among the very best), and never have I used a zoom that does. To the ISO argument: f/1.4 does not provide even illumination, so I don’t buy that argument at all. Better off to use f/2 for more even illumination across the frame. As for the Sigma 24-35mm f/2 zoom, I’m skeptical that its field curvature yields a sharp image at infinity focus, since none of the Sigma Art primes can do so. Zoom have even more compromises than primes. I usually find myself agreeing with you, but I actually like f1.4, and I'm somewhat surprised to hear it from you since you have previously liked to shoot landscape wide open, even with the Noctilux. For me it's not just about light gathering but also rendering qualities and extra visual tools. Though learning when to use it is obviously most of the battle. I like gear that has a decent size, not too small too. Though I totally get why you want it, given your riding up mountains and the like. In saying that, I do wish we had other options and I am amazed at the quality of the Loxia's. DIGLLOYD: I like f/1.4 very much, and I absolutely like wide aperture landscapes, but that is beside the point for many of my uses. And carrying three Otii on a 10 mile hike is no fun. There is ample room for more than one lens speed: just look at the ZM line (35/1.4, 35/2, 35/2.8). Ironically, the ZM 35/1.4 is the best of the lot, though not in every way (distortion). I’m not arguing against having f/1.4 options! But everyone who claims to like f/1.4 should have to carry three Zeiss Otus lenses on one of my hikes, then decide. Since the question here is high performance at f/1.4; there plenty of small and pleasing but technically poor f/1.4 lenses are out there. While it’s always nice to have one f/1.4 lens around, the issue arises in having more than one focal length: carrying three Zeiss Otus lenses is a serious physical burden. Ditto for Canon and Nikon and Sigma, and their f/1.4 lenses by and large fall short, particularly CaNikon. To me, markets take time to evolve, but I am not sure if our one will evolve in this direction. We have a part of the market that has been used to want F1.4 because (i) lenses were not all Otii, they were performing on top after two stops (ii) ASA/ISO sensitivities were much limited. This market still needs to digest that conditions have changed. A part of the market - probably mostly enthusiasts - simply wants the top of the top. Does not matter much if it is rational behavior, it is self-fulfillment. This market will just buy products that are on the edge, because they will make you feeling you are the best. A part of the market is made of professionals. I am not, so I must be wrong. To me, many of these will simply buy the tool that does the job, and they do not care much of Zeiss f1.4, sigma art, Nikon f1.8 primes. That’s why Canon continues to lead. There are not too many clients for these people, who can perceive the differences that go beyond what a good professional can extract from a F2.8 or even F4 zoom. DIGLLOYD: the evolution seems to be towards more and more fast lenses rather than medium and slow-speed perfect lenses. Only Leica M has taken a sensible approach here (albeit at very high prices), with lenses like the 18/3.8 SEM and 21/3.4 SEM and 24/3.8 Elmar-M and 28/2.8 Elmarit. But those lenses go too far the other direction: compromising performance (somewhat) by insisting on being too small as well as an aperture approaching f/4, which reduces versatility. f/2.8 is the sweet spot in my view, though f/4 would be fine for 11mm and 15mm focals. I agree that much of the allure of big fast lenses is about cachet and status. Sort of like horsepower in a car wanted by a driver never having been on a racetrack (I used to 'track' cars myself). Professionals with Otus: many shoot stopped down with strobes. No one can reliably manually focus using the OVF at f/1.4 or f/2, so in reality f/4 or so is mandatory if one doesn’t want to blow the job. So solutions like loupes in Live View have to be used, bulking up things even more. I suspect that Otus gets stopped down most of the time, and moreover that most pros shoot AF, because manual focus is unusable on modern OVF focusing screens. My biggest frustration with many of these new fast lenses- particularly the Sigma Art series, is that they really do not perform well edge to edge until they're stopped down to f4-5.6. For my uses, primarily as a landscape shooter that is critical in lens choice-edge to edge sharpness. I've been shooting a lot more night photography in the last couple of years and the idea of a 1.4 lens is always exciting to minimize noise and star movement, but honestly Sigma has not produced outstanding lenses at these wide apertures-nor Zeiss in my opinion unless you can shell out for an Otus- which aren't wide enough for most of my uses. For now I'll stick with my Nikon 14-24 2.8 until they improve. I'm consistently disappointed when I test these lenses and here so much hype about how great they are and yea at 5.6 the Sigma's are stellar but hardly at 1.4-2.8 where you really want them for many applications. I think a lot of it is a marketing ploy equivalent to a camera with more mega pixels. Just because you have more doesn't make it better-or an extra stop or two in this case doesn't make it better necessarily. DIGLLOYD: Agreed, the Sigma 24/1.4A in fact does poorly until f/5.6 - f/8 at the periphery. The Sigma 35/1.4A has forward field curvature. And so on: compromised for f/1.4. When and if Sigma builds Art primes of f/2 or f/2.8 speed, I would expect them to be quite a lot better if similar efforts and pricing were the aim: same price, much better performance, much smaller and lighter. I rarely write to the authors of blog notes if no public comments exists in these blogs. But I cannot resist in this case. I TOTALLY AGREE with your post about irrational f/1.4 lens. I can live with f/2.8 (or, even, f/4) design for most focal lengths (with two exclusions: portrait lens and wide angle for night shots). Cannot wait until 300/5.6 or 200/4 (but excellent at open aperture) becomes reality. I'm so tired to carry today 180/2.8 and 300/4 to mountains! DIGLLOYD: From what I understand of optical design, optimizing for an f/2.8 lens is not cutting back glass from an f/1.4 or f/2 design, because the design goals all must be weighed and balanced against each other. In particular, an f/1.4 design must compromise / trade-off various behaviors in order to deal aberrations of certain types that are at least an order of magnitude more troublesome than with an f/1.4 design. Simply making an f/1.4 design into an f/2.8 design would carry the same compromises and trade-offs. For an f/2.8 lens, that balance would be “no compromises” vs many tradeoffs for an f/1.4 design. As for portraits, f/2 would be fine but so too would f/2.8 for most practical purposes. And at 85mm I don't see a problem in doing f/2. You hit it on the nail. I've had the same gripes on this matter and gotten to online arguments about it. Finally, the last straw was the Otus 28/1.4. I don't need this lens. I don't know who this lens is for? Rich pixel-peeping doctors or lawyers? I want f/2.8-f/4 lenses that are compact but use the highest and best optical technology. I have no problem paying $1000-2000 range for a no-compromise f/2.8-f/4 lens. The old C/Y Zeiss 28/2.8 used on my canon with an adapter was one of my favorite lenses. It was so small, light and pretty sharp at the time for 20-something MP cameras shot at f/8. Most of my landscape work is F/8 if not more. So I don't know why I should carry 2-3 LB of weight for all that lead and glass that I don't use. I Also love the Voigtlander 90 f/3.5 APO. I use it for my pano work and I get amazing results from it. Again, it's so small an compact. Yet resolves really well. My ideal kit would be 21, 28, 35, 50, 90, 135, 200 primes in 2.8-4.0 range. I'm glad you're speaking out about this, and I'm hoping Sigma or Zeiss will be listening to you. As for cost, I think a superb f/2.8 lens, one that is perfect wide open—that will need to cost around $3K. That is what I’d like to see. If the goal is as stated above (f/8 or f/11), then many existing lenses such as the Zeiss ZF.2 line should serve well enough. Clear limitations, but well enough. That is why $3K is about right: to go to Otus grade but at f/2.8. But the point is not just f/2.8 for size and weight. When I say “perfect” I mean it: close to theoretical limits at f/2.8 (better than Otus), distortion of 0.5% of less, outstanding flare control, strictly controlled field curvature, excellent mechanics, etc. Lifetime reference lenses. This will cost at least $3K, even for an f/2.8 lens, possibly more for some focals. Perfection in a compact package: like Leica M, only somewhat larger with much better controlled parameters. The 1.4 lens was originally used by photojournalists and portrait photographers to not only shoot in very poorly lit locations but also to create a “look” when shooting street or portrait photography. An 85mm 1.4 was the lens of choice for many sports photographers, as not that long ago, during the film days, 800 ISO may have been the top limits to shoot at. There were very few zoom lens, so you had to use primes and carry a bag full of them. The 1.4 lens is still used today by many photographers shot wide open to isolate their subject from the background. The difference in the “look" from 1.4 to 2.8 is considerable. It was not uncommon to carry primes 20, 24, 35, 50, 85 105 and a 180 or 200 to get the job done. Now two zoom lenses replace all of those, but unfortunately at 2.8 the look has become very generic. And don’t forget that until the digital revolution, landscapes guys like yourself always used a 4x5, 5x7 or 8x10. DIGLLOYD: this idea supports the inertial theory of f/1.4 lenses. And of course f/1.4 is still valuable for some purposes and can even be used for wide aperture landscape photography (now more viable than ever using Zeiss Otus). But of course there are many situations in which f/1.4 is not a better choice. As for “generic”, that is true of both f/1.4 images and f/2.8 images, though I am definitely not a fan of f/2.8 zooms: overuse of f/1.4 gets old quickly also. seldom it is the other way round – mostly with small format cameras. makes the rendering of the out of focus areas often appear nervous and not appealing. (You mention this briefly). I had to smile when I heard the new Milvus 85 is spherical only. Maybe a breakthrough in thinking about pictorial qualities at Zeiss? • Speaking of obsolete DOF markings, why has no manufacturer come up with the idea of providing a marking of the “nodal point” on its lenses? This would be much more useful and not sooo costly. DIGLLOYD: the nodal point (actually the entrance pupil) ought to be engraved on lenses, for stitching panoramas. While it could change with focusing, the position for infinity would be helpful (or maybe even a range could be engraved). It occurs to me that your plea for near perfection lenses set at 2.8 max aperture fits like a glove with my old disgust with the Wide Open or Nothing, You’ve Wasted the Money if You Don’t Shoot at f 1.4 (or 2 in that case) crowd. The core of my argument was the idiocy of many online mamas’ boys thinking that somehow the quality of an image shot at 5.6 on a Zeiss, let alone an Otus Zeiss, or another high end 1.4 or 2 lens is going to be the same as 5.6 shot on the vast majority of 2.8 (or whatever) lenses. The key thing they never seemed to grasp was that the wider aperture almost always occurred in an engineering package of higher end quality that included much better glass, much better imagery at apertures up to at least 8. They managed to convince themselves that a 1.4 or 2 lens was that expensive only because of that one extreme aperture. Hence the goofball reasoning that one was wasting his or her money if they shot the thing at anything but that aperture. Which tossed away the peak performance aperture range of virtually every one of those lenses. Not that you wouldn’t want to shoot wide open for “the look” in a good many instances—you certainly would—but it was a total sacrifice of IQ for aperture before a photographer ever finished opening the shipping box. The whines about “wasting money” ended up doing just that. For a great many potential images, 5.6 or 4 is exactly where you want to be. Every time they are confronted with the illogic, the widest aperture crowd counters with the “magic” of 1.4 and 2, as if the rest of us had never shot wide open. Yeah, it’s magic, but not magic enough to throw away the far greater number of top images available in the core of the quality range, usually somewhere around f4 to 5.6, maybe stretching to 8 in some lenses. Or magic enough to try to humiliate newcomers into the same addiction. DIGLLOYD: a big part of the cost for the Otus line as I understand it is strict quality control with unforgiving tolerances. Because Otus performance demands very tight tolerances, the costs are higher. f/2.8 designs do not have to deal with rays and aberrations over large surfaces as with f/1.4 designs (where the slightest deviation shows up at f/1.4), and costs would likely be lower as a result. I’m looking for “lifetime lenses”: lenses that come a cost premium because they set a reference standard in every respect, both optical performance and build quality. Free of things that could fail, like autofocus or motors (manual focus only). This is not a sub-$2000 idea, and perhaps not even sub-$3000 idea. But such lenses would be unassailable by any competition. Think something like the Zeiss 135mm f/2 APO-Sonnar, only better, perhaps with cine-lens bearings with a very long focus throw, and in f/2.8 to make it smaller and lighter. This obsession with large apertures, especially with wide angle lenses, reminds me of the early days of Kodachrome ASA 10 when we just couldn't get enough light to make an exposure. Now with the astronomically high ASA digital sensitivities, there is no need. Also somewhere along the way, maybe recommendations in the blogs, people think they should use wide-angle lenses for taking head-and-shoulders portraits! 'How to lose a friend', when you make their face optically ugly! Besides no meaningful bokeh can be gained from superwide lenses, even with large apertures! (The only exception is in 3D movies. Medium wide angle lens are being used for face close-ups in stereoscopic movies because moderate telephotos and longer, render an unpleasant 3D look. The camera has to be precisely vertically-level and are used at smaller apertures to get both eyes in focus!). I have been waiting for the Zeiss Loxia 21 mm lens and initially was overjoyed when finally came out until I read it had a MANUAL diaphragm! I'm not buying it. Also I was hoping for even a smaller lens and therefore a smaller aperture of f/4.5 aperture, flat-field super sharp wide open, corner to corner! What are the designers at Zeiss thinking (or not!)? Even with environmental portraiture, the figure(s) are small in the middle of the frame with their setting extending around them. The whole area (the whole frame) should be sharp. Not a 'wavy curve' area of sharpness! Too bad! An aperture of 2.8, looking from either side of the argument, is 'no big deal'! DIGLLOYD: There is still some need for fast lenses, many cases. But who wants to carry a set of heavy f/1.4 lenses around? No one, but some do for reasons of application, yet many do so only because better and smaller lenses are absent from the market. As for manual aperture control, one has to ask about Sony’s ADD on product line continuity: what happens to an all electronic lens 3/5/10 years from now? I myself would like a “ lifetime lens” with unassailable build quality that short of being bashed on a rock will work forever. Because what I want will cost $3K or more, even for an f/2.8 lens. That means a manual aperture ring and manual focus and Nikon F-mount (with adapters as needed). So be it. All things have compromises, but I don’t want to compromise applicability, durability, or optical or build quality. Accordingly I would not want to pay $3K for an FE lens that has a high chance of failing in ensuing years and works only on Sony. But there may be adapter solutions that could allow both electronic and manual control, like Nikon has long done. The Zeiss ZM 21mm f/4.5 C-Biogon is a gem of a lens with near-zero distortion, but with severe ray angle issues that today make the lens a non-starter on digital bodies. A 21mm f/4 (or similar) lens that aimed for ultra high performance including near-zero distortion would be a fine complement to the f/2.8 idea. As for portraits with wide angles, perspective is actually a function of camera to subject distance, not focal length (inverse square law in essence)—this is not optical distortion. A wide angle can make a fine portrait (and a far more interesting one than the banal head and shoulders at 85mm). Below, Batis 25m f/2, optical distortion not even corrected. At f/3.5 it has meaningful bokeh. After all, blur is a function of magnification. In my view the greatest problem with the 28mm f/2 Distagon has been the coma. The fact that its defects produced the cinematic and 3d feel were pluses in my view. The 28/2 doesn't lend itself to Otus perfection because that's not the reason one uses the 28. But the horrible coma is a reason NOT to use it. And a good reason to show a comparison with the new Otus an older 28mm using that off axis bright high contrast light. At the same time, one of the best reasons (and the primary reason I took the 28mm f/2 Distagon and only it out one night in Paris was that it's a very compact lens that fits in the hand in a way the 21/2.8 and 35 1.4 do not. Without being graphic the 28mm c/y feels like another object men carry around with them all the time and also fit in their hand very well. I think this Otus 28mm is going to be a flop but I hope it doesn't destroy the Otus line. It wasn't a focal length crying out for replacement like the 21/2.8's mustache distortion. And I think you're right on about the 1.4 lenses - one doesn't use a WA or UWA at 1.4 or 1.8-2.0 that often. One might do a forced perspective but given the choice the Nikon 14-24mm does it as well as the Zeiss 21 2.8 would. And given the choice between 2 Zeiss lenses that will cost nearly $6k and will be cranked up to 4.0 + the Nikon 14-24 and its AF are a no brainer. Good enough is great enough. People don't wait around for manual focusing. The Otus 55 did this seastack shot [not shown] and it did it because it's optically as close to perfect as any lens ever made. Even if I had the 28mm Otus I wouldn't have used it here. I might have used a 24 or maybe a 21 and then fixed the keystone in post. Zeiss has given you a real hurdle. Even if the 28mm were optically perfect it's a tough sell and a bad marketing decision (research and surveying) for the 3rd lens in the Otus line. With the 135/2 APO as good as it is, an Otus 135 or 100 wasn't in the cards and 200s are already well covered by Canon and Nikon. Zeiss's error was not going for the 21mm. When it was believed to be a 24mm or 25mm, it paused me to consider as well. My Otus days may be done, the only one I might really need is a very good 21 (2.8) and a 55-like 35mm at 1.4. The 85mm has ONLY been used for formal portraits and again - usually at 4.0 + - strobes are much more important (as is accurate WB!) and for most people, I spend an equal about of time in post deblurring hairs and small skin defects that the 70-200 wouldn't have created in the first place. The only benefit is extremely sharp eyes IF the subject didn't move and IF I got it right. I have this theory. The 135/2 APO was the first lens that did not get in the way of what I was trying to accomplish. I could point the lens in any direction at any aperture and it would deliver. The 55 and 85 Otii do the same. Maybe the 28mm does also but it gets in the way otherwise. One has to consider which 2 lenses they won't carry and which 3-5 lenses they won't purchase. DIGLLOYD: these thoughts resonate along the same lines as the others, but even more on practicalities of usage (size/weight and the manual focus challenge). “Gets in the way” touches on two issues: size and weight and manual focus. If one accepts manual focus (not a big deal on Sony A7R II), there is still the bulk issue. In reviewing my Otus 28/1.4 images, I am now compelled to say that I trend to seeing the Otus 28/1.4 primarily as a lens whose raison d^etre is f/1.4 (or f/2). Because it is the only lens that delivers that kind of look at 28mm. The trouble with that idea is that it’s a huge and heavy lens to carry for that purpose, displacing other possibilities. So if/when it fits the bill, great.